We went on another outing with The Other Nine Months group. We had to go a little futher for this one but it was the same day as the Flower & Garden Show, which wasn't too far from Rainier Beach Urban Farm. I'll be posting about the show a little later. 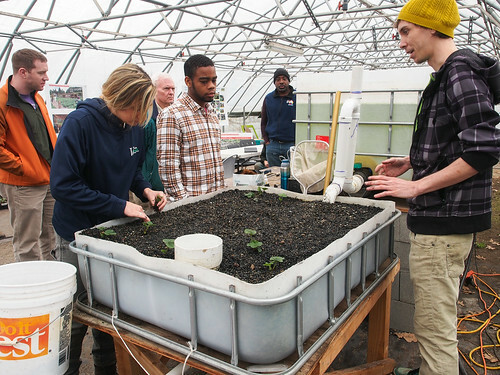 I always thought aquaponics and hydroponics were the same thing but it's really not so I learned about the differences during this aquaponics tour. 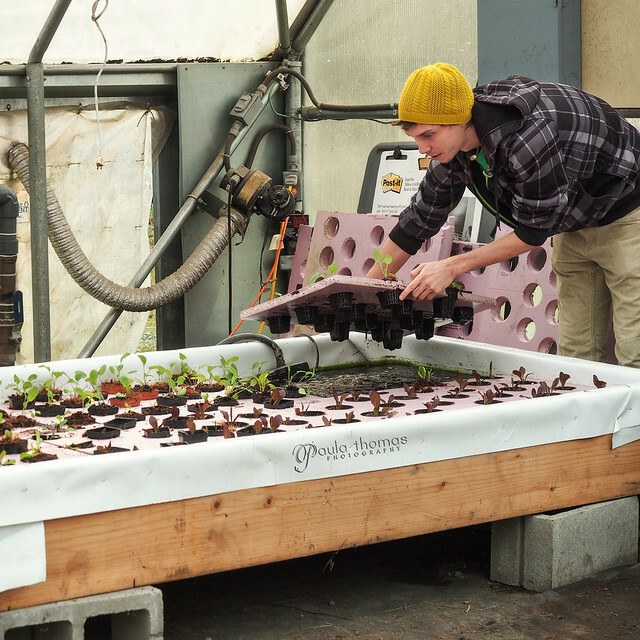 Hydroponics is growing plants in water and using mineral nutrient solutions added to water to help the plants grow. 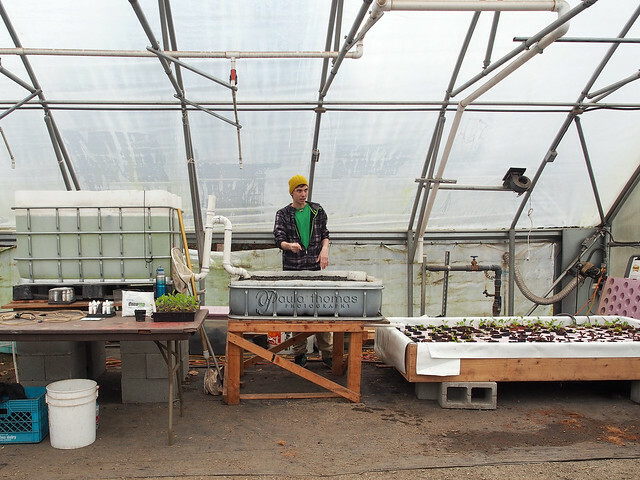 Aquaponics is growing plants in water without the use of chemicals. In Aquaponics there are fish and worms involved to create the necessary nutrients for the plants. 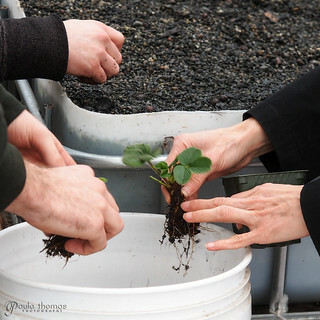 They aquaponics system at Rainier Beach Urban Farm is in its infancy and they have big plans to expand the system. They are using a 3 container system. The first container has the fish. They have it stocked with tilapia and goldfish. Most people use an edible fish like Trout, Largemouth Bass, Blue Gill, and Catfish for aquaponics but you can use just about any fish you want. The water from the fish tank drains into another tub filled with rocks and worms and will also be used to grow strawberries which we got to plant some of ourselves. The rock bin then drains into a third bin filled with water and plants floating on top. The water keeps recirculating through these 3 tubs at a pretty fast speed, about every 20 minutes. 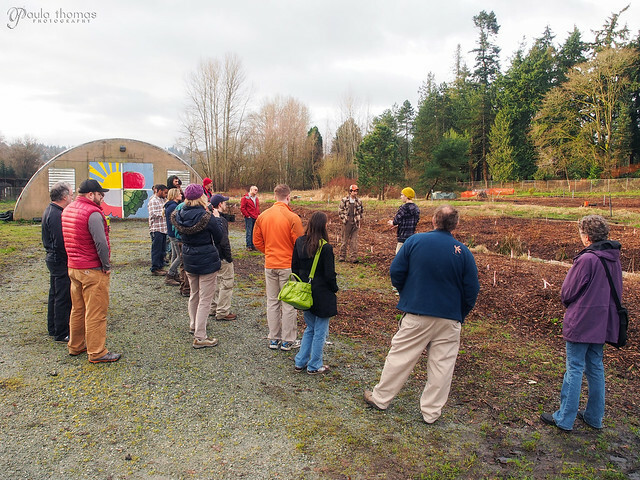 Seth Connell of Green Horizon Business Solutions and Anthony Reyes from Seattle Tilth did a great job explaining how the whole system works.